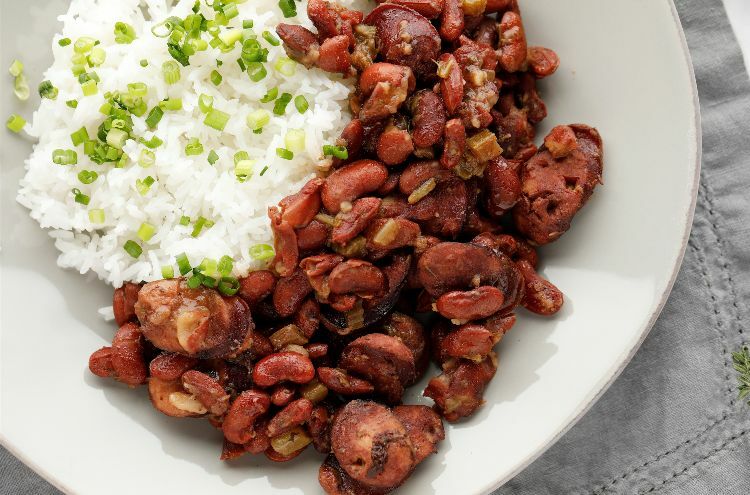 Red beans and rice – the kind you find in neighborhood restaurants and home kitchens all over Louisiana – is an amazing dish. 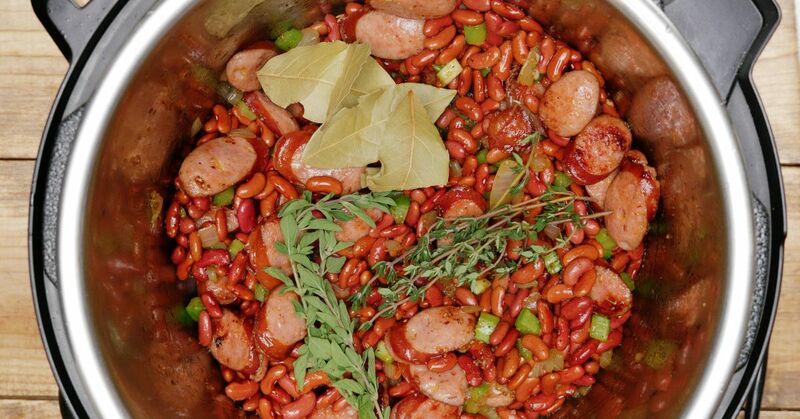 Made from humble ingredients – dried beans, rice, sausage, a few vegetables and herbs – it's a spicy, meaty, smoky and oh-so-hearty comfort food. Its flavor is so rich and complex, it’s hard to believe how easy it is to make, especially if you have an Instant Pot or other electric pressure cooker. If you can find andouille sausage, that will give you the most authentic Cajun flavor, but you can use any spicy smoked sausage you like. It’s a versatile dish that’s meant to be made mostly with kitchen staples, the kind of thing you make when you haven’t been grocery shopping for a while. Some people add ham hocks or other meaty chunks to make it even more filling. Heat the Instant Pot using the sauté setting. Add the oil. Once the oil is hot, add the sausage and cook, stirring occasionally, until the sausage is browned, about 5 minutes. Use a slotted spoon to transfer the sausage to a paper towel-lined plate, leaving the grease in the pot. Add the onions to the pot and cook, stirring frequently, until softened, about 5 minutes. Stir in the Creole seasoning, garlic, and celery and cook, stirring, for about 5 minutes more, until the celery is softened. Stir in the beans, the browned sausage, bay leaves, thyme, oregano, salt, hot pepper sauce, garlic powder, allspice, pepper and cayenne along with 4 cups of water. Close the pot and turn the valve to the sealing position. Select high pressure and set the timer for 35 minutes. When the cooking time is up, allow the pressure to release naturally for about 20 minutes and quick release any remaining pressure. Stir in the scallions and serve hot over cooked rice.